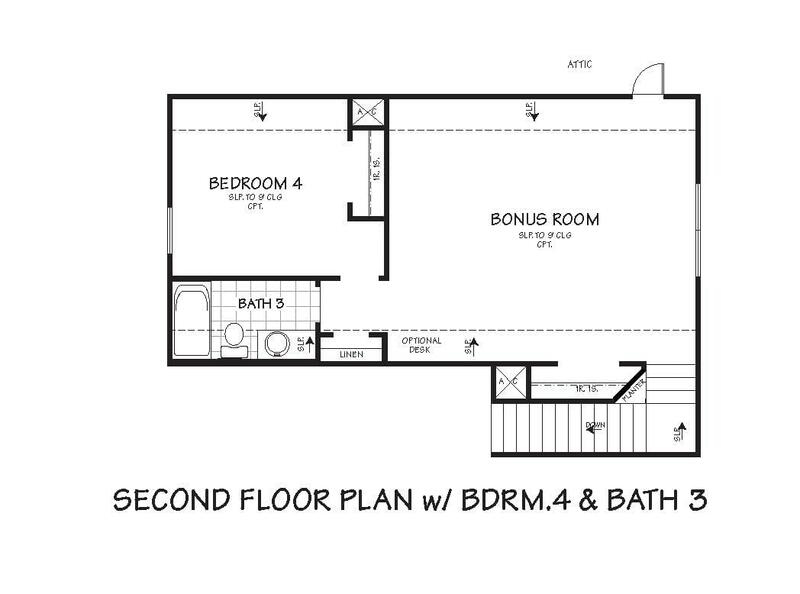 The Asbury II floorplan has 4 bedrooms, 3 bathrooms, a game room, and a 2 car garage. An optional box out window can be added to the dining room which allows for additional seating or decor. 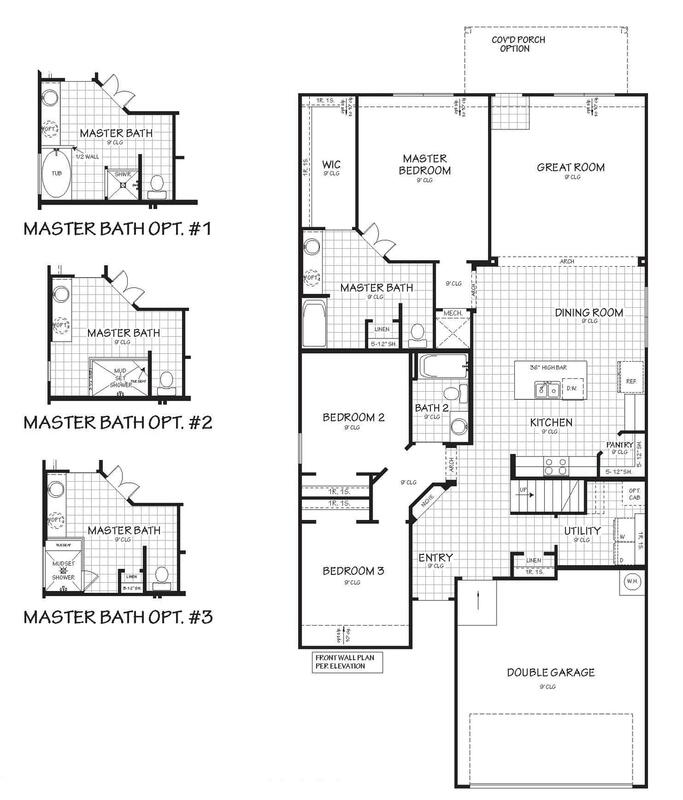 The master suite can built with a bay window or box out window and several different master bath layouts to choose from. 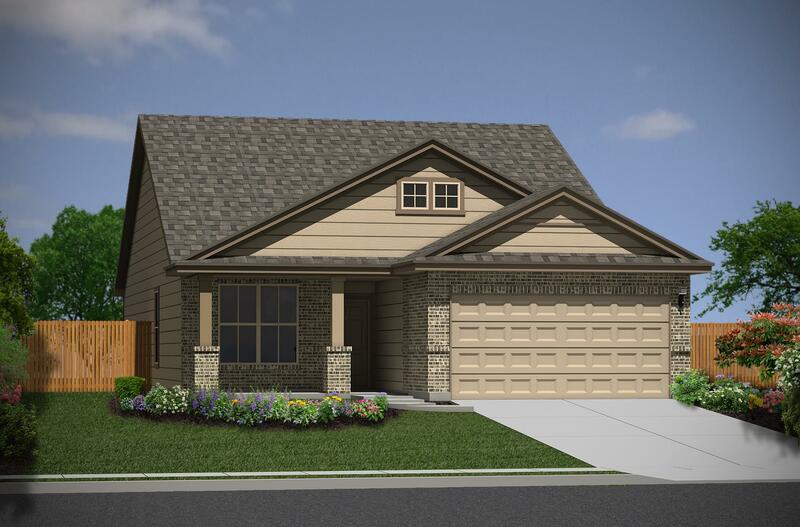 For those who love the outdoors, there is a covered porch option.